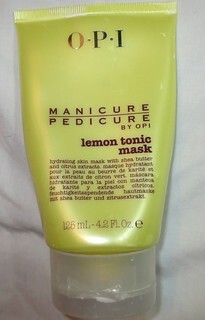 I am a huge fan of OPI's Manicure/Pedicure line, and the Lemon Tonic Mask* is no exception! The Manicure/Pedicure line contains a wide variety of amazing scents, I'm sure there would be something to suit anyone's tastes. Canadian Winter's are bad, bad news for my skin, and I look for a product for every part of my body to help keep me moisturized. 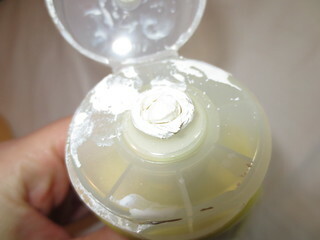 This Lemon Tonic Mask from OPI has been a saviour for my hands lately! I've never tried a mask for my hands before, I didn't even know that they existed! 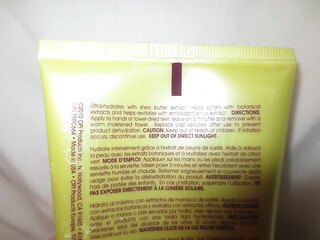 You can use this product on both your hands and feet (hence it being a part of the manicure/pedicure line! ), but I have only tried it out on my hands. I squeeze a generous amount out onto my hands, and coat both my palms and the backs of my hands. This is almost like a very thick, heavy cream. The Lemon Tonic scent is amazing, very light and energizing. I then keep the mask on my hands for about 5 minutes, and by then the mask has hardened. I don't find this feeling uncomfortable, but I think some people might. I then rinse off the mask, and use hand soap to get everything off. After I rinsed the mask off, my hands are left feeling incredibly soft and beautifully scented. I even got my boyfriend to try this out, since he suffers from really dry hands in the winter. He actually really liked this product! He said his hands felt softer and he liked the scent. I use this about once a week, or whenever I have the time/remember to use it. I think that anyone could benefit from this product, especially in the dry, cold winter months. There are quite a few scents to choose from, and I'm wanting to try out a few others. I think that this would make a lovely gift for anyone that enjoys a little pampering! It's amazing for dry hands!